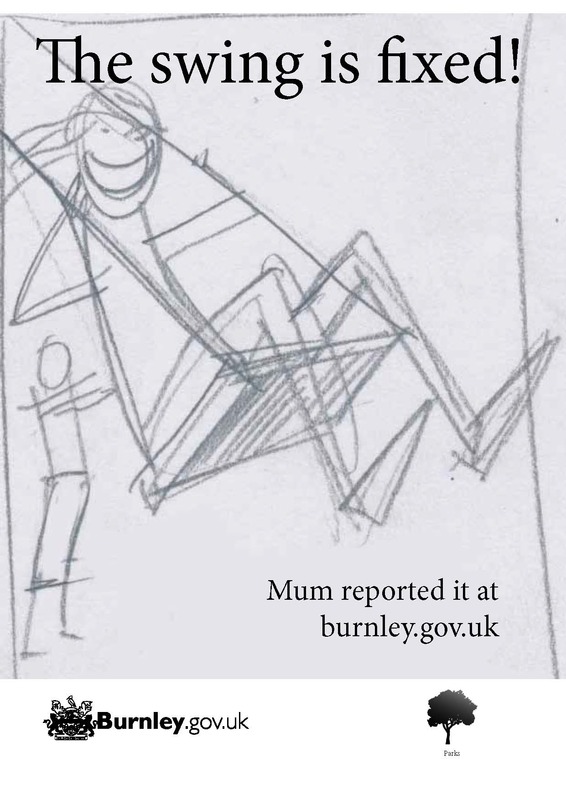 In 2012 Burnley.gov.uk switched over to its current, open source, platform. 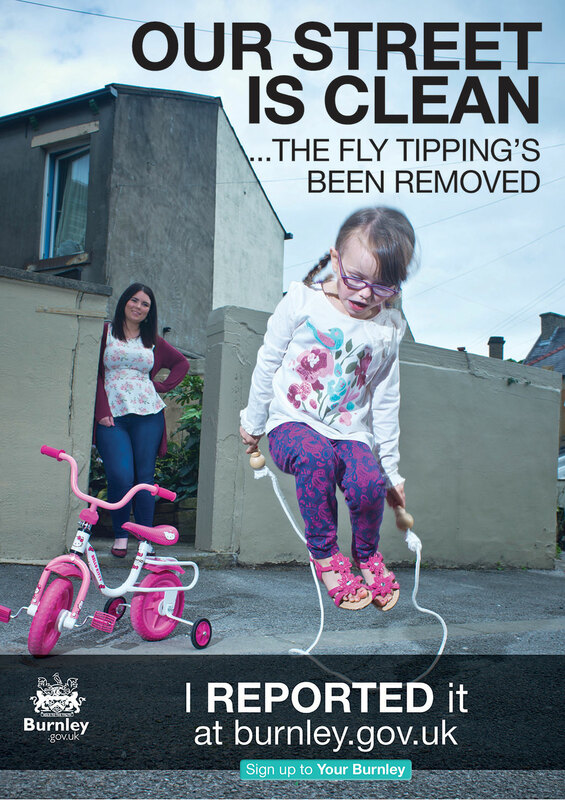 This provided us with an opportunity for a complete redesign. The new site is clean and bright as well as completely responsive. It looks and functions well across a range of devices. Colour coding ensures that the user always knows which section they are in. We designed a range of icons to across shortcuts in the header, all accessible via a drop down from any page. 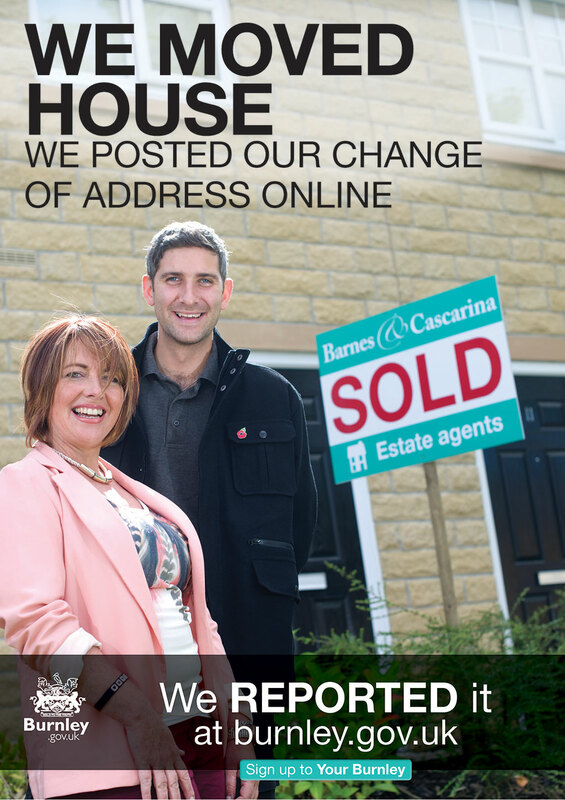 We also provided theming assets for the interactive sister site, yourburnley. 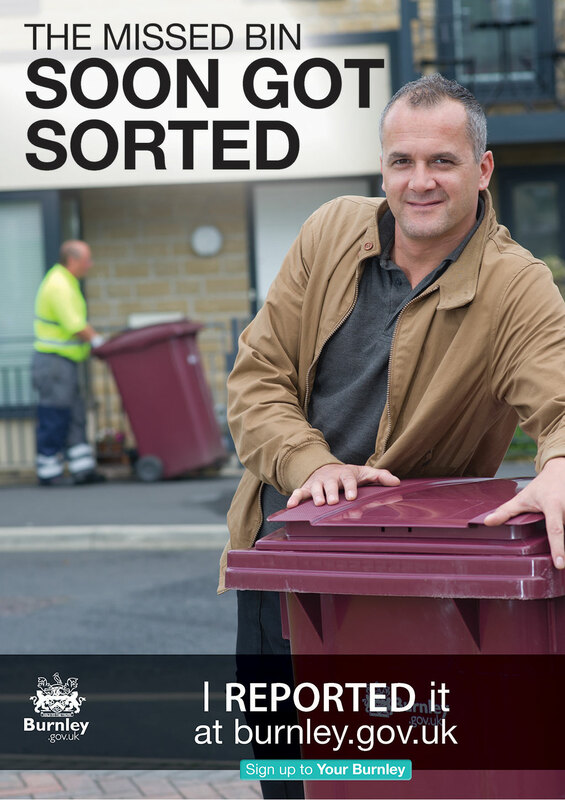 This collection of forms allows residents to interact with back end services and report any problems. The dark theme is in contrast to, but in keeping with, the main site. 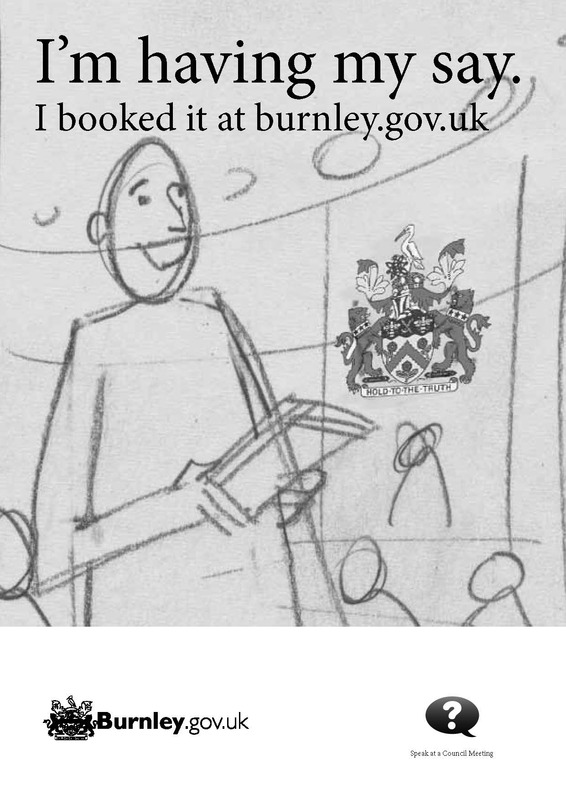 With the launch of the new look Burnley.gov.uk we were commissioned to come up with a campaign to promote the new online services. The brief was centred around Your Burnley. 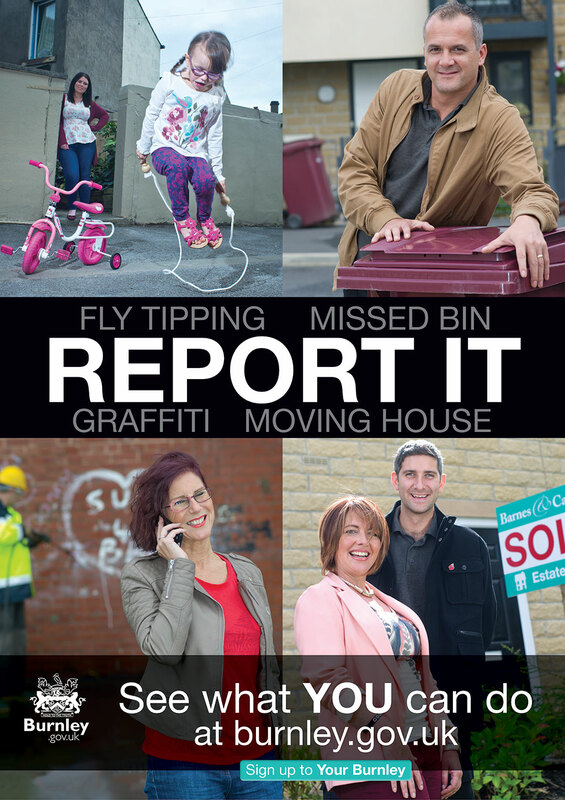 The concept emphasised the user, and used high quality photography of Burnley people interacting with council services in real life. We commissioned and art directed a photographer. 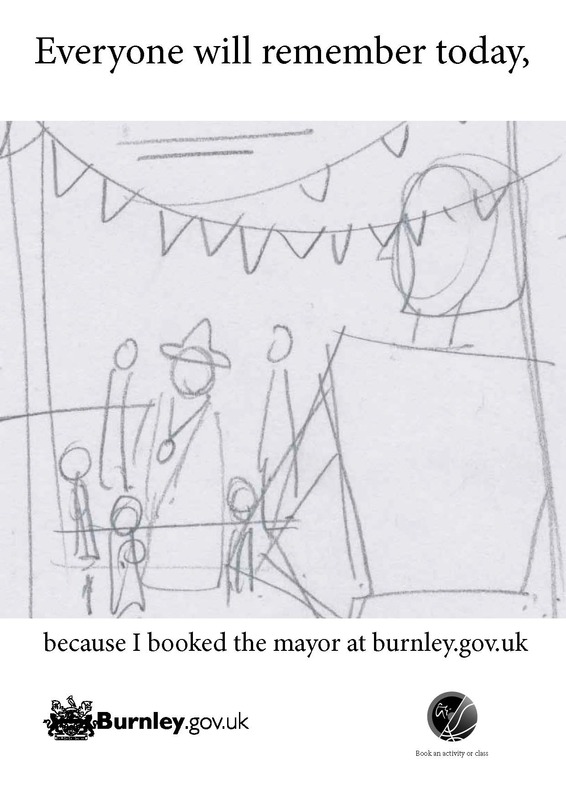 The shoots often involved multiple people, locations and props, including a fake fete with a doppelgänger mayor!